Focus on the Family has always been great at reaching out to families and meeting them where they are. 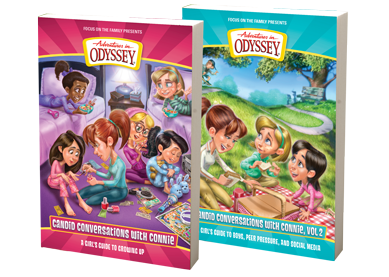 This time, the Adventures in Odyssey team is getting ready to release two books for girls via Candid Conversations with Connie. 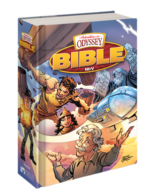 Both books will be a helpful guide to girls as they grow up… and they can look up to their Odyssey friends in the process. Welcome to Candid Conversations with Connie! And these conversations are going to be very candid. 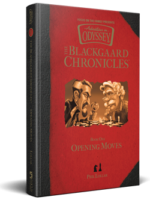 In this book we’re only taking questions from girls! Yep, they can ask whatever they want, and I will answer from my vast knowledge and experience. (Well . . . maybe not vast.) If I don’t know the answer, I’ll ask my friend Penny. We’ve been where you are, and we know what it’s like.